Xylitol is a sugarless sweetener that's gaining popularity as an ingredient in candy, chewing gum and toothpaste. Although xylitol has many potential health benefits, particularly for preventing dental cavities, ingesting large amounts of the sweetener could pose some health risks for children. If you're concerned about the effects of xylitol consumption on your child's health, consult your child's doctor. 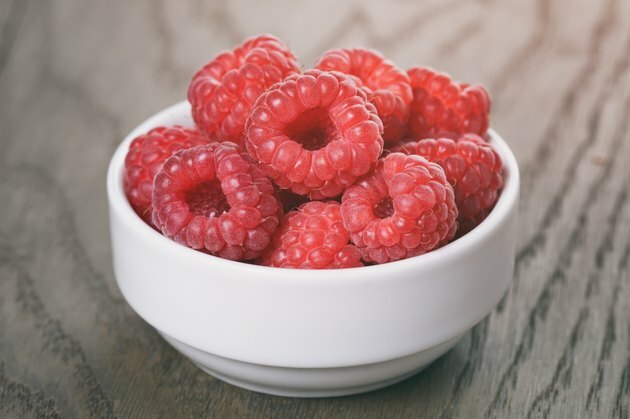 Xylitol is a sweet, sugar-like substance derived from raspberries, plums and strawberries, says the University of Pittsburgh Medical Center. Xylitol is also found in certain vegetables, wood chips, straw and corncobs. The substance is a form of xylose, which is a compound that's often used as an alternative to sucrose, notes the University of Michigan Health System. Xylitol is used as an ingredient in gum and toothpaste, thanks to its antibacterial properties. Xylitol is most commonly used to prevent cavities and tooth decay, says the University of Pittsburgh Medical Center. The substance may also help prevent ear infections from Streptococcus pneumoniae bacteria, and periodontal disease from Streptococcus mutans bacteria. Mainly, xylitol is considered an antibacterial sugar substitute, notes the University of Maryland Medical Center. No conclusive scientific evidence supports the use of xylitol to prevent or treat medical or dental problems, so talk with a health care professional before using xylitol for this purpose. Xylitol appears to inhibit the growth of certain types of bacteria that cause dental cavities, gingivitis and ear infections, notes the University of Pittsburgh Medical Center. Xylitol is also an effective sweetening agent that doesn't impact blood sugar levels like other types of sugars, which is why it's often used to sweeten diabetic-friendly foods, says the University of Michigan Health System. Additionally, xylitol seems to have less impact on insulin levels than other types of sugar. In recommended dosage amounts, xylitol is generally considered safe, says the University of Michigan Health System. Excessive doses of xylitol can cause side effects like intestinal gas and diarrhea. However, if children take doses larger than 30 grams daily, it can cause more severe side effects than in adults, warns the University of Pittsburgh Medical Center. Monitor your child's xylitol intake, and talk with his pediatrician if he displays any side effects. To prevent dental cavities, the typical dosage of xylitol is 4.3 to 10 g daily, divided into three or more doses taken after meals, according to the University of Pittsburgh Medical Center. To prevent ear infections, you can give your child 10 g of xylitol syrup or 8.4 g of xylitol gum each day in two or three separate doses. In some cases, xylitol doses can range up to 20 g daily for dental cavities and up to 2 g five times daily for ear infections, notes the University of Michigan Health System. In addition to chewing gum and syrups, you can also find xylitol in the form of lozenges. Ask your child's doctor about the safest dosage before giving your child xylitol.